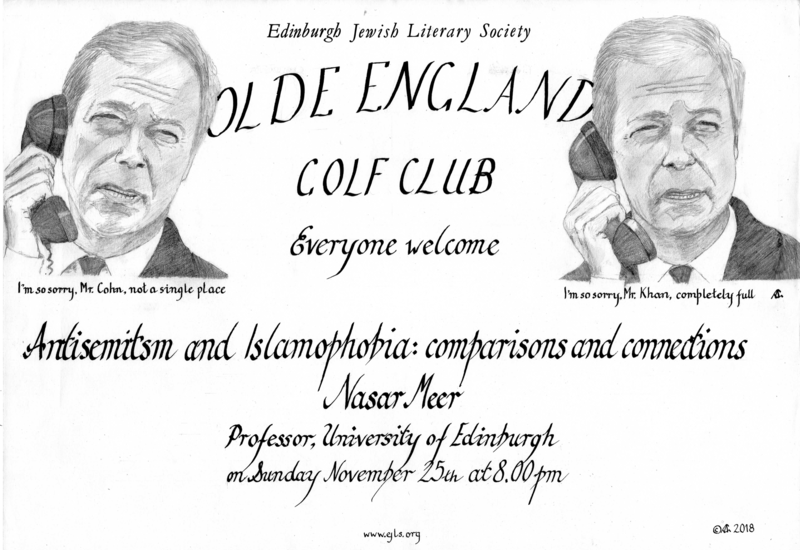 In this talk, Nasar Meer will argue that antisemitism and Islamophobia should not be isolated from either each other or from other forms of racial discrimination. To this end, and in addition to ‘comparing’, we also need to ‘connect’ more than is presently the case. Conceptually this means drawing upon social and political repertoires of racialisation (or race-making) to illustrate the conceptual and empirical relationships between antisemitism, Islamophobia and other forms of racism. Nasar Meer is Professor of Race, Identity and Citizenship in the School of Social and Political Sciences at the University of Edinburgh. His recent publications in this area include: (2013) ‘Race, Culture and Difference in the Study of Antisemitism and Islamophobia’, Ethnic and Racial Studies, 36 (3), 385-398. (2013) ‘Semantics, Scales and Solidarities’, Ethnic and Racial Studies, 36 (3), 500-515. A short blog on the theme is available here: Challenging Antisemitism and Islamophobia together: http://www.publicspirit.org.uk/assets/Meer-Challenging-Antisemitism-and-Islamophobia-Together.pdf.